← Stop Hogging the Nitrogen! The earth carries out it’s cycles day by day without us even realizing. It revolves around it’s axis each day, concurrently revolving around the sun each year. It rains, the sky clears, it rains again. The earth seems to do what it pleases, without any respect to the measly human being. But we as a race have more power than we realize. Our actions change this earth, not always for the better. 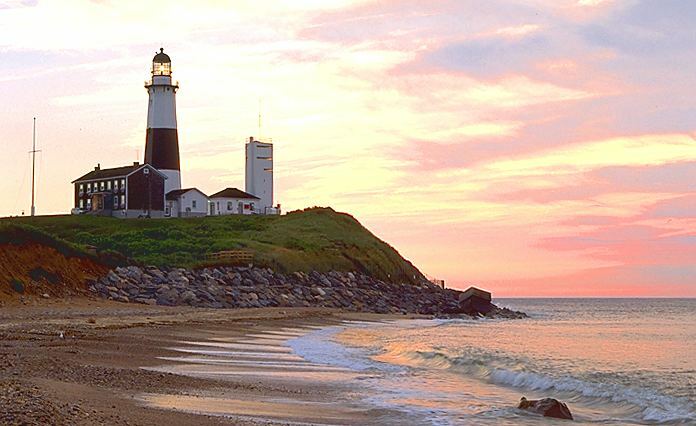 Long Island is a beautiful region of the United States, popular for it’s breath taking beaches and serene oceanside environment. For years, tourists have flocked the sandy seashore, and fishermen have angled the plentiful amounts of crustaceans and aquatic creatures living underneath the surf for profit. But the seeming perfection of this environment has been shattered. New data and observations have shown that the Nitrogen levels of well known areas such as Westhampton Beach, Huntington Bay, Shinnecock and Flanders Bay have skyrocketed, forcing the oxygen levels toxically low. This increase in nitrogen has caused many sea creatures to either leave or die off. These aquatic animals need oxygen to survive. As the number of creatures in the area lowers, unrestrained algae takes over, turning oceans and bays an unsightly and unhealthy green. fig. 2 In areas of countries like China, this algae increase has become extreme. But why does this occur? The answer can be found in a lesser known, yet integral cycle of the earth: the nitrogen cycle. Nitrogen is required for life of all plants and animals. Without it, we could not survive. Seventy-eight percent of the atmosphere is made of nitrogen, as well as three percent of our own human body. Nitrogen can be found in proteins and nucleic acids, in other words, in foods, and in DNA. As you can now see, nitrogen, though invisible, is essential. But nitrogen in large amounts can be detrimental to our environment. Large amounts of nitrogen, in the form of pollution, have entered the Long Island waters by way of soil leaching and runoff. Leaching occurs when fertilizer added to the ground does not bind with the soil, due to the nitrate in the substance being negatively charged. Runoff includes that from the sewer and septic pipes. fig. 3 The nitrogen cycle is a complex process, but is necessary to sustain life on earth. Other polluting contributors include an outdated waste water system, the use of pesticides, and emissions from power plants and vehicles. As these factors add up over time, nitrogen levels heighten, oxygen levels decrease, and the sea creatures dissipate. But the fish and animals aren’t the only things to disappear. The increase in nitrogen affects more than just the wildlife. It can negatively affect the economy, as it is doing now in New York. Tourists are slowly disappearing, disliking the polluted water, that is steadily becoming greener with algae. The pristine, once picture-perfect beaches may soon be a thing of the past. The fishing industry suffers as well, as their copious supplies run low, and what animals that remain will be sickly and oxygen-deprived. The main economic frame of the area is bending and shifting, all due to too much nitrogen. fig. 4 Seen in this image is an example of runoff. This runoff is coming directly from the sewers and has many negative affects on the environment. It seems like there is not much that can be done. Big factories and corporations will not soon change their polluting ways, and nor will ordinary humans, most living their lives oblivious to the the existence of the nitrogen cycle and its importance. Though I usually try to see the bright side in situations, the future does not look promising for Long Island, and possibly other beaches around the country, and world. I believe that pollution, though promoted extensively in a negative light, will not decrease anytime soon. Fertilizers and pesticides are an everyday tools for farmers; they will not risk the health of their crops and cease to use these things. The world takes their white sand and blue rolling surf for granted, but if people do not soon learn of the nitrogen cycle, all will soon turn green… with algae. Sarah, when I read your article I got the sense of how important balance is in the environment. Nitrogen is important in ecosystems and even in our own bodies, but it only works at just the right amount. Without enough nitrogen, we cannot build proteins and nucleic acids properly. However, with too much nitrogen everything in our environment falls out of balance. The picture of the kids swimming in the algae is amazing, and shows just how far things can go when there is too much nitrogen. Nitrogen does not work by itself. Too much nitrogen means a decrease in oxygen, and this forces sea organisms to either leave or die out. If one thing goes out of balance, everything does! Looking at all that algae, however, made me think. Could we use nitrogen in this way to grow crops in wet environments like this where food is needed? This must be the idea behind fertilizer to begin with, but is there a way to concentrate the nitrogen and then prevent any leaching or runoff? Sarah, you don’t say it explicitly, but I think this blog post really touches on the 3 components of overall sustainability (environmental, social, and economic) that we dwelled on a bit in class. Of course, the you describe quite well the destruction of environmental sustainability due to the spike in nitrogen levels, but you also address social and economic sustainability by mentioning the deterioration of the tourism economy after tourists lose interest in the no longer pristine attractions and how farmers aren’t going to cease using fertilizer just to address the issue of leaching. But I believe that IN addressing these 3 components of sustainability, we can find hope in fixing the problem. Lindsey mentions it at the end of her reply with the idea of growing crops in a wet environment. By keeping the other aspects of sustainability in mind, hope doesn’t seem as far-fetched. Maybe these locations won’t be the halcyon places they once were, but I wouldn’t lose all hope either.